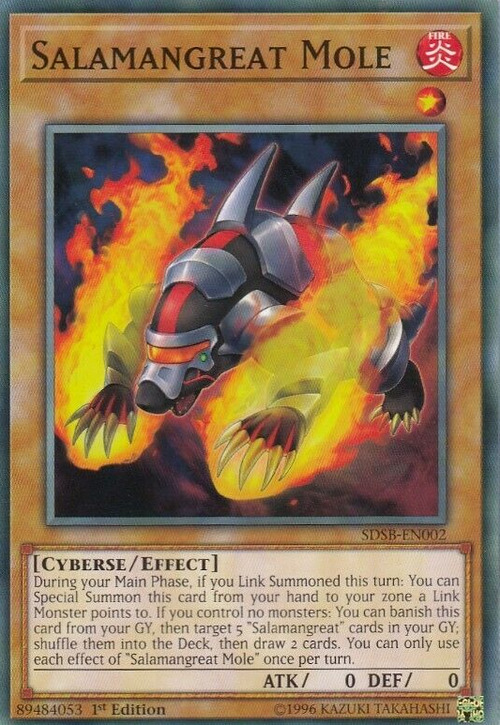 During your Main Phase, if you Link Summoned this turn: You can Special Summon this card from your hand to your zone a Link Monster points to. 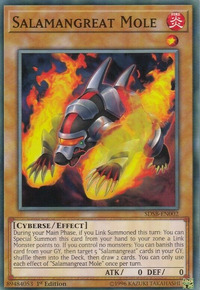 If you control no monsters: You can banish this card from your GY, then target 5 “Salamangreat” cards in your GY; shuffle them into the Deck, then draw 2 cards. You can only use each effect of "Salamangreat Mole" once per turn.